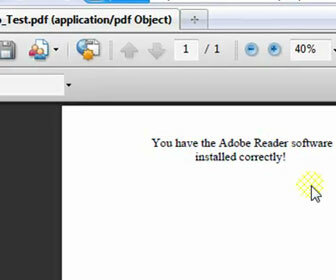 The Adobe Acrobat Reader takes up a good amount of system resources. It can slow down or even freeze your computer as you are attempting to open up and view an Adobe Acrobat .pdf file. There are older laptops at my work that can’t handle viewing .pdf files using the Adobe Acrobat Reader. They would slow down to a screeching halt and freeze for a brief period. [adblockingdetector id=”2″]After researching, I found a solution to the problem. I found a “lightweight” version of a Windows software program that will open up Adobe PDF files without an extreme slowdown of an old PC. The program is called, “Sumatra PDF Viewer” and it is free to use. Once I installed it on the older laptops and made it automatically open .pdf files the laptops ran a lot smoother. Viewing Adobe Acrobat files no longer was a painful task. I also learned that using the Sumatra PDF viewer to open .pdf files on some newer computers helped speed them up a bit too.